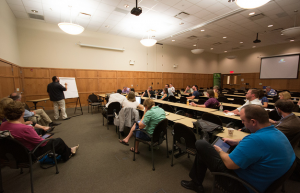 One week ago I attended the first Edcamp Leadership, held in Monroe, NJ. The event was attended by a lot of friendly folks from New Jersey and surrounding areas, including administrators, teachers, tech integrators, curriculum specialists, and other fine educators. I was especially excited to meet valued members of my PLN Akevy, Shira, and Jason for the first time! For those of you unfamiliar with the Edcamp model, the day’s learning sessions are created and presented by the event attendees. Participants sign up on the “board” to share sessions throughout the day. Attendees then choose from the menu, and the “vote with your feet” rule applies: if you don’t like the session you’re in, up and leave and head to another session. There’s a focus on conversation and making sure the day is meaningful for you as the learner. I attended a number of sessions, ranging from learning more about Evernote and its use in schools to a discussion about personal preconceptions and how they shape our supervision and evaluation of teachers. Here are some highlights of the sessions I attended last week. Evernote – There are a lot of uses for Evernote in schools, most of which I’ve never fully explored. I mainly use Evernote for personal notetaking, thankful I can access my notes from any device. I will sometimes use the web clipper, but again, I’m not sharing my clippings with the world. I asked the Twitterverse how they’re using Evernote in schools, and many admin chimed in that they use them for note-taking during observations and walkthroughs, which can then be shared with staff (and some even include photos). Our session facilitator referenced Nick Provenzano’s Epic Evernote Experiment, which I recommend to any teacher interested in learning more about how to use Evernote with students in the classroom. Google Sites for ePortfolios – I stopped into a session about the use of Google Sites since we are a Google Apps school, and I’d like to encourage the use of portfolios for student use. This Livebinder of resources was shared. #satchat – Brad Currie and Scott Rocco began #satchat to involve educators in rich discussions of educational topics. Held Saturday mornings at 7:30 AM EST (thus my struggle to attend on a regular basis ;)), the Brad and Scott are passionate about learning and leading and did a fine job facilitating a session about the power of the PLN. To learn more about #satchat and the tools and features they use to support this endeavor (such as Storify, which I used only once, but found I really like), check out this post. He, She, They, We: Tools for Faculty Evaluation and Development with @DrTimony – I always try to attend David’s sessions, because he’s wicked smart and I go in hoping some of his intellect will jump off of him and land on my shirt or my shoes or something and somehow seep into my brain. Our central question was, “How do our unspoken perceptions influence evaluation before decision-making occurs?” He referenced Michael Polanyi and tacit knowledge and its impact on our supervisory roles of teachers. We talked about good design and how something that is designed well requires few, if any, instructions to work it properly. How do our inherent feelings lead us to reasoning (making excuses to ourselves); how do our pre-cognitive decisions made by our brain (our brain is out to get us, I remember that clearly from EdcampNYC) force us into an agenda our brain has already put in place? When we start to process our perceptions, we start to make good headway. We can then intervene on our pre-cognitive decisions and prejudices. And while we can’t always change our prejudices/feelings that we have, we can use mechanisms to help us deal with them. We discussed frameworks for supervision and evaluation and the tools we could use to ensure we’re observing in an objective, constructive manner. Shira suggested asking four nonjudgmental prompts during walkthroughs to assist with this process: “I Notice, I Wonder, What if?, How might?” These questions help shape reflections and conversations following the learning walks. David continued to stress the importance of observing in a purely supervisory role, not evaluative in any way. I struggled with this concept, because as an administrator, truly everything I see in a classroom could be taken into account in an evaluation. Do I think supervision needs to exist in its truest form to promote professional learning? Definitely, but it’s really hard to make that distinction sometimes. I know other administrators share that sentiment. On the whiteboard David reminded us Supervision = Coaching; Evaluation = Judging. Many participants shared that they became uncomfortable when being observed, whether by a single administrator, a team of observers, or by peers. One teacher said her students “froze” when the admin team walked in with their laptops. That, to me, indicates a bigger problem: the administrators/observers aren’t a regular presence in the classroom or school. The culture of the school should support a sense of openness: We don’t teach behind closed doors here, everyone is welcome at any time! Conversations swirled around the term “effective practice” – determined by whom? What is the evidence of effectiveness? Are we asking students, “What are the characteristics of the most effective teacher you ever had?” Will those responses be the same for every student? Does every effective teacher practice the same way as every other effective teacher? What tool are we using? Checklists? Rubrics? David remarked that we use these standardized tools in a “prophylactic sense.” We want to be protected from what we might write in a more qualitative fashion in an observation report. So, do our supervisory and evaluation methods operate under the assumption that everybody gets the same thing? Or does everyone get what they need? What’s alarming to me, is that in Pennsylvania and many other states, the teacher and principal evaluation systems have been revamped to be highly standardized, insanely time consuming, and tied to standardized test scores. I am being trained in this system in a few weeks and am eager to find the opportunities for teacher autonomy in professional development that districts can hopefully intertwine into the standardized process. A colleague of mine who has piloted the new system shared the details surrounding the 11+ page paperwork completion process for one formal observation, and I think I blacked out for a minute or two. Some final thoughts on Managing Change, a session led by @dle59 (sorry, can’t find your actual name on your Twitter page! ), who shaped the conversation around Spencer Johnson’s Who Moved My Cheese? Yes, change is uncomfortable. Yes, we work with people who are entitled. “I’ve been teaching for 25 years! I’m entitled to doing things my way!” Yes, change is possible, even in large organizations, and many come to realize that it was silly of them to resist change in the first place. A great analogy was shared by a participant who asked us to consider professional athletes who are in the game too long. “It’s sad to watch, actually.” And then there are others, who realize that physically they can’t perform the way they used to, the way that’s necessary for the growth and performance of the team as a whole, so they find other ways to contribute to the profession. Look at your role. Find ways to be effective in this time of change. It was a privilege to spend my time at ASCD as a member of the press. On Sunday at an author’s luncheon, I had the chance to speak with Heidi Hayes Jacobs along with several members of my PLN. I read her book, Curriculum 21, shortly after its publication, and also enjoyed Jacobs’s TedxNYED talk. She asks all educators to consider, “What year are you preparing your students for?” and the content and ideas she shares cause you to reflect deeply about your school’s current practices and how shifts in curriculum, organization, professional development, and the types of learning in which our students engage are imperative. Joining in the discussion were Mary Beth Hertz, Josh Stumpenhorst, and Jason Flom among others, all passionate educators looking to lead this shift in their schools. 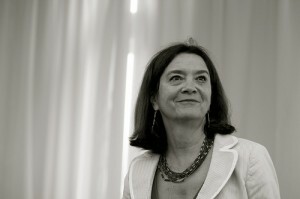 Jacobs shared her views on the varied pedagogies, including “antiquated pedagogy” (“drive-by” teaching, when there is no relationship between teacher and student); classical pedagogy (teachers are sensitive to their students and know how to engage with them, when to talk, and when to be silent; classical pedagogies are timeless), and the new pedagogy, where teachers realize they’re going to need to shift their roles. She referenced David Langford who referred to the student-teacher relationship as “colleague-colleague” relationships. We’re all colleagues… we’re all learners here. Teachers (and administrators) need to be learners. They need to be literate in digital media, and they need to be globally literate. These two characteristics are interconnected, but different. Mary Beth shared that she’s working to establish the colleague-colleague/learner-learner relationship with her students as many of us are, and Jacobs mentioned that the latest in value-added teacher evaluation methods tied to high-stakes testing are “irrational” and will do little to support new pedagogies. Jacobs raved about the global forum they presented at an opening session of ASCD, where schools, students, and teachers from China, Mexico, and New Zealand came together via Skype and other digital platforms to engage in powerful learning with one another. The conversation shifted to ebooks and textbooks and what our kids need educational materials to be. Jacobs believe “every kid should have an annotated clearinghouse” that they, themselves, develop. We need to help children become curators and develop digital literacy skills. I asked how school leaders can get this process started. What must every educational leader understand in order to help their schools progress? 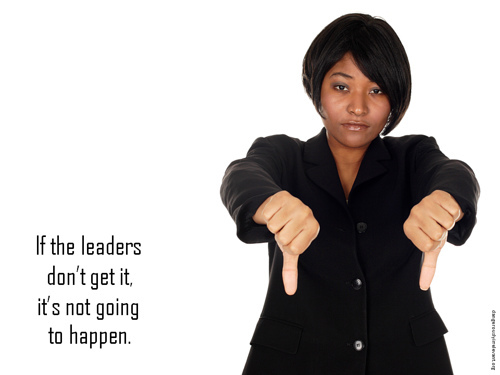 She believes every admin and teacher needs to commit to “upgrading.” Look at what you’re doing now, and make a change to at least one aspect of your leadership. When she and her team work with administrators, they spend the day forcing a culture of sharing- getting them using the tools, opening their eyes to the opportunities for globalization. She encourages admin to “get rid of meetings” and connect virtually. In regards to professional development, we discussed the #edcamp model, and how an autonomous learning model such as those provided in #edcamp settings would address the needs of a variety of adult learners. Jacobs helped us visualize a quadrant that organizes adult learning needs. “The biggest mistake you can make is selling something in education,” she said. When administrators are working with their teams to decide how to proceed with instruction, curriculum, schedules, anything – imagine there is a student sitting at the table with your team. The guiding rule of the discussion is that any idea or concern that is raised has to be in the child’s best interest. While all team members won’t always agree, it will always be a good conversation if the child remains the focus. According to Jacobs, it’s a “no brainer” that we need to use technology in our schools. We have to prove it’s NOT good for kids before we should say it shouldn’t be used in schools, but ultimately, the first issue should not be ADULT comfort with the technology. “It’s not whether we use technology, it’s how.” Technology purchasing decisions are another great challenge today’s school administrators face. Today’s high school juniors have very different technology needs than our incoming kindergarteners do. How do administrators best manage to prioritize, purchase, manage, provide professional development for, and support learning with a large variety of tools? Jacobs is an optimist in that she believes that many times, people are willing to change, they just don’t know how. We want our children to be able to live and learn independently of us, and frankly we’ve done students a disservice by creating such dependencies on the adults in the classrooms. Are you a writer? Show them. Nate shares his Storybird about friendship with his class. For the past few weeks I’ve had the opportunity to spend multiple days in many of our classrooms. Last year I wrote this post about my “principal’s visit” days and how enjoyable it was to spend quality time with students and staff. These visits not only serve as an escape from the drudgery of office tasks, they allow me to see instructional strategies at work; how we address curriculum; the engagement of students in a variety of learning scenarios; how resources are being allocated; teacher-student relationships and peer interactions; whether schedules are appropriate; types of assessment being used; and planning processes. There’s no better feeling than the jubilation of seeing a child excel at a task or when a teacher’s heart and love for kids lead her work with students each day. On the flip side, it’s possible for an administrator to develop a certain “gut feeling” when something doesn’t seem quite right in the classroom. So far this year, I’ve had the chance to read interactive stories with kindergarten; facilitate small reading groups, review time concepts, and introduce Little Bird Tales in Grade 2; spend the entire day with Grade 6 inWashington, D.C.; help students create their first Prezis and collaborate using Google docs in grade 4; explore point of view through reading different versions of The Three Little Pigs (with one of my favorite tales, The True Story of the Three Little Pigs) with some of our young English language learners; help students in our Life Skills classes interact with math activities on the iPad and explore phonics patterns; and analyze text structure and write collaboratively, complete small group math activities, and discuss the writing process in Grade 5. I am looking forward to time in grades 1, 3, and our special classes in the weeks ahead! A month or so ago, Dean Shareski wrote a post entitled It’s not 1985, about the need for us to ensure our students become fluent in digital literacy, particularly in writing. That, if we continue to teach writing as we always have, we are doing a disservice to our students. I agree wholeheartedly, and one of the reasons why I so enjoyed my visit with grade 5 writing classes is because I had the chance to discuss with them my journey as a writer. Had I taught this “lesson” a few years ago, there would have been no mention of blogs. Or digital footprints. Or comments and interactions with others. ClustrMaps. Blog analytics. Storybirds. iPhones. Facebook. Or authentic audiences. I have always loved writing. I filled spiral-bound notebooks with story after story. Then, when I was in middle school, my family got its first computer: an Apple II GS. And suddenly, I learned how to type. I became more prolific in my writing and could edit with ease. I learned how to cut, copy, and paste text. My pieces were more polished. So, as technology changed, so did my platforms for writing. I showed them my blog. We talked about purpose and audience. I told them what a “digital footprint” was, and how it is shaped by everything we do online. Every photo we post or tag, every word we write. I emphasized that it is important that they control their digital footprint and make it a positive, lasting impression of which they can be proud. We talked about how I use embedded hyperlinked text, videos and images to lead my readers to other resources. I showed them my ClustrMap and Feedjit stream. They wanted to know how dots appeared in the middle of the oceans! I shared comments with them, and many of them understood the importance of quality commenting from their work with Kidblog in fourth grade. 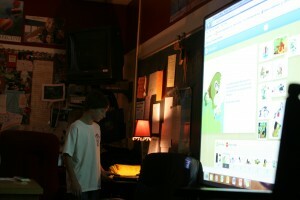 Then, I walked through the process of how I wrote my first Storybird, which I shared with them at our opening assembly. I had the idea while I was driving in my car. I didn’t have access to paper or pencil. I use my iPhone to record my ideas. Ramblings, really. I told them how my brainstorming paragraph was riddled with errors and that, when I started using Storybird, I was inspired by the amazing illustrations so much that I revised a lot of my original text. My story took on a life of its own when I engaged with the Storybird format. I shared how I shared it with my primary audience – our students and staff at an assembly, but also published it on my blog and shared with my virtual community as well. Using my repetitive writing pattern as a model, grade 5 students have begun writing their own stories. I had the opportunity to read several of their stories, and they are beautiful. I am looking forward to working with their teacher so she can embed them on her webpage to share with families. Do I think this conversation was meaningful for my students? Yes. I received a lovely thank you email from the teacher expressing her gratitude for taking the time to share my “story.” And isn’t that what we should be striving to do at every opportunity? Share our stories with students? My “gut feeling” is that when we teach students to write, we do so too methodically. We sometimes allow adherence to form trump creativity. We assess according to state-issued rubrics that call for a certain structure to be followed. We “score” students on their abilities to be focused, include enough content, stay traditionally organized, use proper grammar and spelling, and use “style.” We neglect audience. We’re churning out writer-robots who spit back the format they think we want to see. We graphic-organizer-them to exhaustion. Yes, we need to help them learn structures of writing. But we can’t stop there. We can’t repeat the same lessons year after year and expect them to produce the same types of writing over and over again. Snooze. In a #cpchat conversation recently, we pondered, How do we know that our use of technology is improving learning opportunities for students? And we talked about the typical measures that schools/states/nations are using to determine if students are “proficient” in academic areas. Historically, our school has been high-performing on the state writing assessment. Last year we were in the top quintile of performance for schools in the state. What does that mean? That our students can write in response to a prompt, demonstrating they have control over conventions, organization, style, content, and focus? But how would students’ command of writing on traditional state assessments translate to proficiency in digital literacy? According to the NCTE, what do 21st century readers and writers need to know and be able to do? Literacy has always been a collection of cultural and communicative practices shared among members of particular groups. As society and technology change, so does literacy. Because technology has increased the intensity and complexity of literate environments, the twenty-first century demands that a literate person possess a wide range of abilities and competencies, many literacies. Administrators and teachers, consider the influence you could have on your teachers and students; on instructional methods and curricular choices; on developing your students’ 21st century literacy skills. If you are an administrator who has discovered the importance of ensuring your students are fluent digital readers and writers, how are you modeling this in your learning organization? How are you sharing with your students? This is one of the most prevalent questions I encounter when chatting with educators on Twitter, through informal conversations, and in presentations I’ve shared. It came through loud and clear in the Connected Principals ISTE session that teachers want their administrators to value the opportunities to use technologies to enhance learning opportunities for students and to encourage collaboration and connected learning. I decided to roll with Scott McLeod’s prompt suggestion of: Using the National Educational Technology Standards for Administrators (NETS-A) as a starting point, what are the absolutely critical skills or abilities that administrators need to be effective technology leaders? In my opinion, it can happen…. I’ve seen many rogue teachers propel their classes forward in a manner not necessarily supported or understood by the administration. But it’s not easy. And it’s not systemic. And it won’t be as meaningful for all kids as it needs to be. The NETS-A was developed with a critical understanding that the bar has been raised for school leaders. A school leader who wishes to “create and sustain a culture that supports digital age learning must become comfortable collaborating as co-learners with colleagues and students around the world” (aka “I don’t do technology” is no longer acceptable.) Also, this framework seeks to help school leaders propel their organizations forward as members of “dynamic learning communities.” Vision is vital. The NETS-A are organized around 5 major themes: Visionary Leadership, Digital Age Learning Culture, Excellence in Professional Practice, Systemic Improvement, and Digital Citizenship. If you are an administrator, read the descriptions of the components of each category and ask yourself, “Am I there yet?” If so, how will you influence and develop others in order to contribute to the shared vision? If not, how will you begin to develop professionally in order to get there? So you can get your teachers and kids there? Systemic Improvement: Educational Administrators provide digital-age leadership and management to continuously improve the organization through the effective use of information and technology resources. When I read over these components, none appear glaringly over-demanding. I cannot image an instance where an administrator wouldn’t consider these competencies important enough to at least begin to acknowledge, given the needs of our children who walk through our schools’ doors each day. Is it going to happen in a year? No. Will competencies and the expected skill set of a principal change continuously throughout her career? Yes. Are the daily demands of a principal exceedingly unreasonable and intolerable some days? Absolutely. But I think where it begins is with connections. It begins by developing a supportive network of peers that can enhance your comfort and familiarity with the components of these domains. I think where it begins is with no excuses. Try something new. Read about the latest. Communicate in a different way than you did before. You’ll find that you like it. Empower your teachers and students to help you develop in this area professionally, and share what you learn with others. In last year’s post for Leadership Day, I reflected upon my experiences utilizing various technologies in my role as an administrator. I conjectured about how it came to be that I became so comfortable with the tools and connecting, collaborating, and communicating via social media. I re-read the list of ways in which I used technology to communicate with my school community and further my own professional growth, and this made me realize that my knowledge base has blossomed in so many different directions since Leadership Day 2010. I owe much of this to to the ever-expanding network of professionals I have the privilege to engage with each day and my own self-driven desire to continue to learn more about the benefits of connected learning. Thank you to everyone who continues to contribute. A post recently written by Jon Becker really made me think. Yes, many of us are good at sharing, collaborating, creating. But what do we have to show for it? How can we demonstrate our growth in ways that demonstrate the impact on student learning? I am going to set a goal of sharing more of those stories this year. Of working to ensure what happens in our classrooms isn’t necessarily about the latest tool or gadget, but rather has a focus on learning. 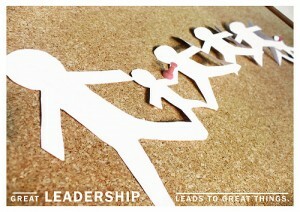 It’s Leadership Day 2011! I hope you’ll add to the conversation! I think natural fears of immersing oneself in virtual environments to learn through digital media are a) that facets of your personality will be clouded and b) there is an inability for true “human” interactions to occur. I would agree this is a possibility, but I argue that it is not a guaranteed result of working in these environments. This book is not antitechnology in any sense. It is prohuman. You Are Not a Gadget argues that certain specific, popular internet designs of the moment—not the internet as a whole—tend to pull us into life patterns that gradually degrade the ways in which each of us exists as an individual. These are my main take aways from the reading and the connections I see to our work with students. We shouldn’t seek to make the pack mentality as efficient as possible. We should instead seek to inspire the phenomenon of individual intelligence. The central mistake of recent digital culture is to chop up a network of individuals so finely that you end up with a mush. You then start to care about the abstraction of the network more than the real people who are networked, even though the network by itself is meaningless. Only the people were ever meaningful. People are meaningful. We can’t forget that behind every tweet, blog post, Facebook status update, and 4Square check-in, is a person. A person with feelings, ideas, hopes, and dreams. I wrote about the day I decided to rename all of my Google Reader subscriptions to include the author’s name, because I wanted to associate the ideas expressed with the actual person who shared them. A child who blogs about what he has learned is the same complex human being who summarizes his learning orally in front of the class. We must ensure the responses we craft to the ideas shared by students and adults alike are respectful, constructive, and meaningful. We must model this for our students. Much discussion has occurred regarding the pack mentality of Twitter, and how perhaps we all jump on the same sharing bandwagon, virtually high-fiving one another whenever we reiterate common themes and beliefs that drive us. I see that. Do we want our forums to become “mutual admiration societies?” No, we don’t, and we don’t want our children thinking that they have to agree with the thoughts of others simply because they’ve surrounded themselves with like-minded learners. We all need to hone the skill of expressing dissent respectfully and justifying our beliefs and ideas. Demand more from information than it can give, and you end up with monstrous designs. Under the No Child Left Behind Act of 2002, for example, U.S. teachers are forced to choose between teaching general knowledge and “teaching to the test.” The best teachers are thus often disenfranchised by the improper use of educational information systems. What computerized analysis of all the country’s school tests has done to education is exactly what Facebook has done to friendships. In both cases, life is turned into a database. Both degradations are based on the same philosophical mistake, which is the belief that computers can presently represent human thought or human relationships. These are things computers cannot currently do. We have to keep our wits about us when faced with the power of information technology. Data, data, data. Do we want our lives turned into a database? Do we want to create a data wall where a child’s performance/worth is represented by a few benchmark scores? Do we want to give every kindergartener an iPad? Do we want the successes of our schools to be reported in the percentages of students who are proficient on state assessments? Or the value of our nation based on a comparison of how our students perform on international testing measures? No. Look past the numbers. Look past the tool. See the child. I always said that in a virtual world of infinite abundance, only creativity could ever be in short supply—thereby ensuring that creativity would become the most valuable thing. It’s not about the technology, it’s about the learning, and it’s about what students create with the tools that matters. I think we all recognize the beauty and value in witnessing a child express her creativity in a way that only she could imagine. We owe it to our students to allow them to think and work creatively. The excerpts I’m sharing here merely scratch the surface. Lanier explores technology’s historical developments, the social impacts of these developments and questions the merits of information freedom. It is a fascinating read. I think we need to also consider how the use of social media allows us to be more humanistic in our interactions with the world. Without the use of social media, for example, my students and others would have more hoops to jump through in their efforts to stay informed about world events and contribute to a cause. Another recommended read is Jennifer Aaker and Andy Smith’s The Dragonfly Effect: Quick, Effective, and Powerful Ways to Use Social Media to Drive Social Change. The authors explore how passionate individuals and groups harnessed the power of social media to make extraordinary changes and impacts on our world. There are days when I wonder what the impact to my learning would be if I allowed my connections through social media to dissipate. I have made a conscious effort to read more books (okay, they’re Kindle books), and not to spend as many hours of my week reading and commenting on blogs and tweets. I have not posted to my blog as often. This transition has caused me to feel a bit out of the loop, but no matter how far removed I become from social media, I know the technology will always allow me to jump back into the conversations when I find a relevant need to do so. Lanier, J. (2010). You are not a gadget: A manifesto. Knopf. Last year I spent some time throughout the school year snapping photos of student work that was displayed in the hallways and classrooms, creating slideshows using PhotoPeach, and posting “I Spy” tours of our student learning displays on our school websites to share with parents. I admit that I have not been posting these slideshows regularly this year, and today I made a commitment to do so, because there is so much fantastic learning going on in our school! But then I considered why I didn’t feel as compelled to do this. It’s not because what I see in the hallways or classrooms is any less enthralling or interesting than it’s been in the past … it’s because more teachers and students are sharing student work and learning themselves! It’s like we’ve all been infected with some sort of wonderful, crazy, addictive sharing disease that is spreading like wildfire throughout our school! My teachers have grown so much in their willingness to engage students in different types of learning experiences throughout this year. Much of our increased ability to share student work can be attributed to the use of social media and the integration of new tools to enhance student engagement with the content. Our primary students have created Voicethreads and teamed up with intermediate grade reading buddies to create digital stories with Little Bird Tales. They’re trying Voki, Skyping with virtual pen-pals (check out their visitor map! ), and have really been dedicating time to writing on their blogs. We’re sharing our school events with descriptive slideshows. Intermediate students have been broadening conversations with Today’s Meet, working with Xtranormal, garnering input for math data projects with Google forms, and creating Voicethreads. We’ve jumped into collaborating with Google Docs and students use Glogster to summarize their learning. They’re engaging in conversations with their families and visitors around the world! One of our fifth grade classes created a video tour of our school to share with their Oregon penpals, and some students even participated in our staff Sharing Showcase last week! I’ve seen some very eager Prezi creators, and enjoyed reading these Kidblog reading reflections. Our school “newspaper” has been moved online to help easily share our students’ writing and project work. Parents and teachers can more easily comment on what’s happening! Initially, I believe the teachers that felt comfortable risk-taking and trying new ideas with students were hesitant to share their joys about the process, for fear of “bragging” or looking they were trying to out-do their grade level colleagues. Similarly, I think teachers were timid about sharing the struggles they experienced throughout the change, worried that their frustrations might dissuade other teachers from taking risks themselves. We need to overcome this mindset. We need to encourage growth in ourselves and others. Reading Shelley Wright‘s post this morning, I knew I immediately would share her words with my teachers, because her message to Improvise, Learn, Don’t Regret is one that I want my teachers, and students, to embrace. She has taken the time to document her journey into project-based learning and share that experience with all of us. We have gained insight, perspective, and appreciation for the process because she has done so. This doesn’t happen without honest transparency. Thank you, Justin, for the challenge to share the wonderful things happening in our schools! 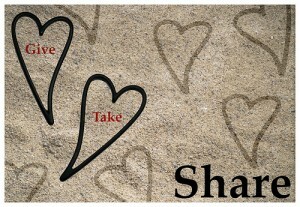 We all need to spread the sharing bug… it’s an ailment worth enduring! 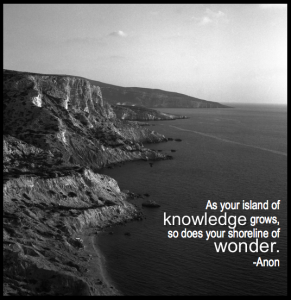 This piece was originally posted on Powerful Learning Practice’s Voices from the Learning Revolution blog. Visit Voices and be inspired! Not worth it. That is a pretty significant phrase, but one that I don’t believe most administrators find true. I would like to instead address Fullan’s question, “What is going to energize principals?” One possible answer? Connected learning. I experienced some feelings of isolation my first year in the classroom, as my assignment was in a small, rural school where I was the only sixth grade teacher. The feeling of not having readily available help that first year pales in comparison to the isolation I felt in my first year of the principalship. Add to that the increasing demands Fullan describes, and the rate at which administrators are expected to lead change, and the complexity of our role increases hundredfold. An administrator has the option of seeking guidance from a principal colleague or central office administrator, although there are times when doing so could cause the principal to feel fearful that she is exposing a weakness or lack of judgment. She instead turns inward for solutions, for explanations, until the isolation compounds and the day-to-day management tasks overwhelm the true leadership that should be prominent in her work. As administrators, we expect our teachers to collaborate, cooperate, and continue to learn. We ask the same of our students. Why should we hold ourselves to a different, even lesser, standard? I believe assuming the role of lead learner in our school community is one of the most imperative roles we can play. We live in a time where the tools and technologies we are afforded have flattened our world. Principals and school leaders now have a vast array of options for learning and connecting with others. I have experienced the very real benefits of time invested in developing my own personal learning network, utilizing the Web and social media tools. By harnessing the power of social media, principals can take advantage of improved organizational efficiency, solidify and broaden communications, serve as lead learner, and develop relationships that will ultimately build an organization’s capacity and benefit children. Our students will be expected to enter adulthood as critical thinkers, problem solvers, and collaborative, productive team members. We must model the power of digitally enhanced learning for them, for our teachers, and for the community. We must connect. If you’re capable of connecting and learning from those in your physical realm, consider the power of building relationships with other inspiring educators from around the world. Too often we think: how could that person’s experiences help me when their schools and circumstances differ so greatly from mine? That’s precisely the reason we can learn so much from one another. I have as much to learn from a high school principal in an urban school setting as I do from an elementary principal in a neighboring district. The varied perspectives are invaluable. So, where can an administrator find these connections? For me and many others, Twitter has been the main vehicle through which we’ve built a network of professional learners. This article can help you get started, and I personally am willing to help any interested administrator embark on this journey! 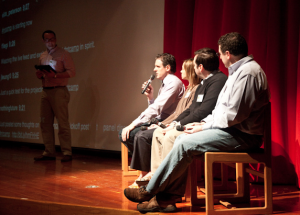 The blog Connected Principals was essentially born out of the relationships built around conversations on Twitter. George Couros, recognizing the valuable contributions stemming from our online discussions, decided to create a common space for administrative bloggers, to bring us together and unite our voices under a shared purpose. I know that if I ever need advice, ideas for projects or resources, or just someone willing to let me vent, I can go to any of my Connected Principals colleagues who will be there for me with a supportive, critical voice. We must share. As a starting point, consider the simple benefits of using shared, digital spaces such aswikis to organize and exchange information with staff. Respect your teachers’ time by only holding a faculty meeting when there is an agenda item worth true discussion. Empower your teachers to be wiki contributors so they can add information of their own. Stop the insanity of searching aimlessly through email inboxes to try to find that tidbit of information someone mass-emailed two weeks ago! Do you and others often locate great resources to share? Use Diigo or a similar social bookmarking site to share and even annotate those resources in a streamlined, organized manner. Collaborate on projects usingGoogle Docs. No longer do precious minutes have to be wasted in meetings if project authors can work in a common digital space and contribute at times that best suit them. We must build community. Communications with families and community members are vital to the success of any school and can be powered up through the use of social media. Consider the advantages of writing about school successes in a public blog or Facebook page regularly, highlighting the wonderful accomplishments of students and staff. Social media affords principals the opportunity to develop forums where community voices can be heard and valued. The benefits of managing public relations before outside sources distort the facts are innumerable, and the platforms through which these communications can occur are, for the most part, free to use! We must be transparent. Are you transparent in your learning? Would you like to be? What does transparency entail? For one, allow your teachers and students to see that you value your own learning. Have you ever discussed with a teacher how a book or article you’ve read could impact classroom practice? If so, you’re comfortable with sharing your learning in a local forum, so consider branching out to share your ideas with other interested parties. Blogging is a great first step to becoming a producer, not just a consumer, of information. Simply take the thoughts you’d normally converse about and compose a post! Posterous, WordPress, and Blogger are all user-friendly platforms and ideal for the beginning blogger. Keep in mind that there are no right or wrong ways to express one’s feelings and share knowledge. New bloggers often ponder, “Who really wants to read what I have to say?” “What if someone doesn’t agree with what I write?” Begin blogging as a personal form of reflection, to help you examine your decision-making processes and actions as principal. Read other educators’ blogs. Subscribe to RSS feeds and organize the flow of new ideas with Google Reader. Comment and include links to your own writing to develop a readership. Get to know the other educators you’re connecting with. Learn about their philosophies, and let the shared wisdom you discover help guide your work. The role of the principal is definitely worth it. It’s a role that should, first and foremost, be about sharing, building relationships and community, and connecting for learning. Principals need to ensure they are modeling and building capacity in the most efficient and meaningful ways possible. We need to embrace, not ignore, the tools we now have available to build powerful learning communities. We are faced with a compelling need for change, and we owe it to our children to lead the way in bringing connected, enhanced, and authentic learning opportunities to our schools, communities, and world. Evans, C. (1995) ‘Leaders wanted’, Education Week. Fullan, M. (2001). The new meaning of educational change. Teachers College Press. 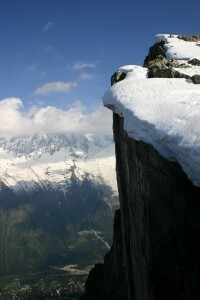 Do you live on the edge? Are you an educator who uses the power of pull to access, attract, and achieve in shared, passionate-filled learning spaces? 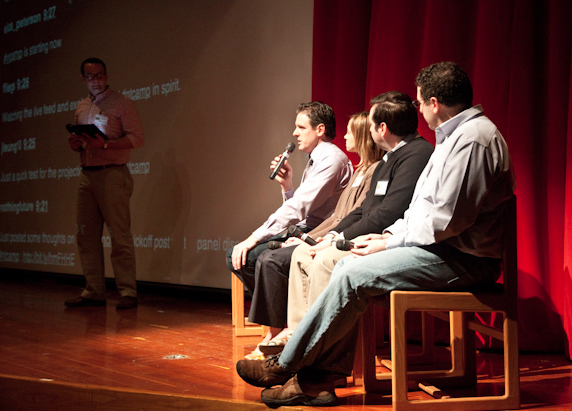 Having recently attended Edcamp NYC, Educon and Pete & C, with ntcamp Burlington to follow next weekend, I can say with a fair amount of certainty that the educators involved in the passion-driven organization of these events harnessed the power of pull to make these learning experiences a reality for attendees. What’s so great about gathering together in these types of learning environments? Why do so many of us count down the days until the next Educon, Edcamp, Ntcamp, ISTE… what’s in it for us? As our passions become our professions, we begin to see how social networks can provide us with an unparalleled opportunity to achieve our potential by allowing us to access resources and attract people who can help us while we help them. We construct our own personal ecosystems, an interesting blend of local relationships and global relationships, and a mutual leveraging occurs. Not long after arriving in Philadelphia for Educon, I was surrounded by familiar faces. How was that possible, considering I had never before met most of those with whom I interact in the Twitterverse? Because we’ve spent the last few months…years… connecting. We’ve reached out to one another in times of need, shared our excitement and successes, and revealed personal tidbits of our lives to help connect with one another. Throughout that weekend, I was able to engage in meaningful discussions about learning (and sometimes nonsense), breaking free of the 140-character limits to really get to start to build relationships with the educators in attendance. There was much laughter, camaraderie, and a little karaoke. Once the connections are made, they require attention. Forming meaningful relationships requires time and a lot of hard work. Those of us in attendance benefited from face-to-face interactions that provided a whole new insight into the hearts and minds of our colleagues. These interactions allowed us to identify those with whom we could exist “on the edge” and continue learning from. Edges are places that become fertile ground for innovation because they spawn significant new unmet needs and unexploited capabilities and attract people who are risk takers. Would you describe your school as a “fertile ground for innovation?” Most would not, although I think some of us are starting to see glimpses of what is truly possible! This is because in many organizations, businesses, and schools, push is the preferred mode of operation. Teams of administrators or policy makers forecast needs based on past performance, then design efficient systems using a standardized method to ensure that the right people and resources are available to meet system goals. We push standardized curriculum, lesson plans and strategies, and learning materials onto students and teachers. Push models treat consumers as passive recipients of information, and can lead to boredom and stress among program participants. These conditions are necessary in a push environment because they yield somewhat predictable results that can then feed into the cycle of forecast planning. Push programs are important when explicit knowledge is valued over tacit knowledge. But I do not believe any of us want our students to be passive, bored, and stressed recipients of information that may or may not be relevant to their lives and learning. At the most basic level, pull helps us to find and access people and resources when we need them. At a second level, pull is the ability to attract people and resources to you that are relevant and valuable, even if you were not even aware before that they existed. Think here of serendipity rather than search. Finally, in a world of mounting pressure and unforeseen opportunities, we need to cultivate a third level of pull—the ability to pull from within ourselves the insight and performance required to more effectively achieve our potential. Pull also requires awareness of trajectory (what’s your vision? ), sufficient leverage (how will we best use the passions and abilities of other people? ), and the best pace (how fast will we move with these changes?) to make meaningful forward progress a reality in a world that’s constantly changing. Sometimes it truly amazes me how I managed to assemble such a powerful learning network of educators in such a short period of time. Serendipitous encounters definitely played a role, facilitated by social media, as I know others have also experienced. We can’t be satisfied with the connections we’ve made, however, and not continue to branch out and bring new people to the edge. A comment that has often been made following an Edcamp or Educon is, “Well we’re all just preaching to the choir. Everyone here gets it.” Let’s get new people on board so they, too, can connect, build relationships, and contribute to the tacit knowledge flow that we all seek to learn from. As we increase the number of people we connect with, our ability to pull from that network grows. Doing so will help us all achieve the third level of pull, where we reach within ourselves to achieve our fullest potentials. The subtitle of this book is How Small Moves, Smartly Made, Can Set Big Things in Motion. And isn’t that what we’re constantly discussing, debating, and detailing? The educational reform movement is a “big thing” that we are starting to put in motion with each one of our smartly made, small moves. We have to continue to connect, build relationships, share knowledge, and live on the edge to make our collective ideas the new reality for today’s students. This session will explore the role of the networked administrator, who, as the school’s lead learner, recognizes the value and use of social media to develop professional connections, build relationships and capacity, help create organizational efficiency, and bring innovative learning experiences to students and staff. I can count on the fact that there will be at least one audience member live and in person (one of my teachers is attending the conference, so his participation is mandatory :), and I did consider that often at conferences like these, administrators are often few in number. I’m fully prepared for an audience of two. Knowing that more participants will likely add to increased value in the conversation, I decided I’d attempt to Livestream my session in the event that anyone out there who had the time and interest would like to tune in. I’ll sign onto Skype as well to engage any virtual audience members in addition to the Livestream chat that may emerge (l_hilt). Thanks in advance to future administrator and all-star Greg who is going to help me out. Fingers crossed that the venue’s technology supports this effort. If not, hopefully the resources shared below will still be of use to someone out there. The session is Monday, February 14, at 4:00 PM EST. This is a topic I’m quite passionate about, simply because of the amazing transformation in my learning over the past year since I’ve been more involved in connected learning through social media. I highly respect and admire the other principals, administrators, teachers, and educators I’ve engaged with and learned from through Twitter interactions, blog posts, and in face-to-face encounters. In my experience, in talking with other administrators in this area, the concept of learning with others through social media is a foreign concept. I feel I owe it to this group of influential educators to share the benefits, ideas for use, and personal stories about how we as leaders need to model our learning for those whom we lead. View more presentations from Lyn Hilt. 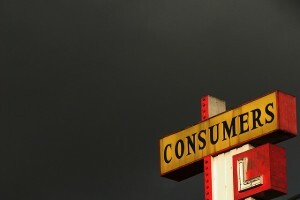 We consume. Do we produce? The relationships between consumers and producers in life cycles and food webs is introduced in the elementary years. Children genuinely enjoy exploring the relationships among animals and other organisms in our world. As I navigated through the websites Stumble Upon recommended for me this morning, I got to thinking: We’re really good at consuming. How are we doing with producing? Sharing? We’re in the midst of planning an upcoming professional development day for elementary teachers, and they were surveyed to find out what tech integration topics they’d like to explore. One of the responses indicated “websites for use in the primary classroom.” I guess I understand where that response is coming from, but a few keyword searches in a short amount of time could result in a list of such websites. Consuming. I’m meeting monthly with a group of elementary teachers who volunteer their time after school to explore ideas and tools that will help them become more adept learners, and hopefully bring that knowledge into their classrooms for use with students. We discuss the “shifts” in education- the importance of connected learning- the tools and applications that can be used for students to authentically demonstrate their learning- there’s honestly too much to explore in the short time we have together, but I do appreciate the time these teachers are spending stepping outside of their comfort zones and working to produce. Not only are they creating projects as we explore certain tools, but they’re producing new ways of thinking and transforming their mentalities about teaching and learning. I often hear, “Well, they have to start somewhere,” in reference to teachers taking on new roles and trying new things in the classroom, but at what point do we apply a little more pressure? How long do we allow teachers to either a) ignore technology and the “shift” or b) use it in superficial ways that don’t necessarily add to student learning before we push them to step outside of their comfort zones? Do we have time to allow them to continue to consume without at least attempting to produce? Administrators need to provide opportunities for their teachers to become producers of content and ideas. Why? Because our students are natural producers. They act, they sing, they dance, they draw, they make up jokes, they journal, they create websites, they problem solve through social interactions, they establish their own YouTube channels and comment on peers’ work… they produce. If we don’t foster that love of creation in our schools, it will diminish. Dean Shareski says, “If you generally think of the Internet as a ‘place to look up stuff’ you’re missing the best part.” Agreed. How will you help your teachers become producers and share their ideas? How will you help design learning opportunities for your students to do the same? Without producers, the consumers will eventually dwindle away, won’t they?